Customize and simplify your business travel management with a minimum of five SkyTeam member airlines, while bringing down costs. Fly your travelers across all continents with reliability, comfort and rewards. A SkyTeam Corporate Agreement is arranged with one legal agreement, including an electronic signature solution to make things go faster. 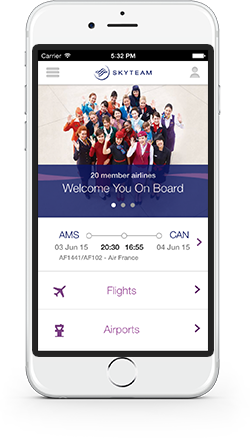 Access all SkyTeam member airlines through a single Global Account Manager. Enter a corporate agreement and travel with five or more SkyTeam member airlines and we'll tailor a competitively priced travel solution for you. Your corporate travelers have increased access to SkyTeam products, services and benefits providing seamless, hassle-free and smooth travel.